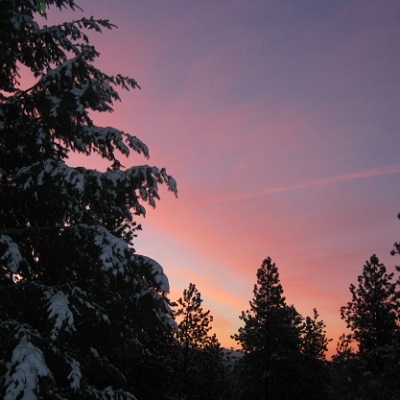 Too Deep to Shovel is a 21st century American conservative political commentary from a Christian point of view. This title is also available for Kindle. Murder and mayhem – crime and corruption – moral depravity. What is wrong with America? Ready for a fresh, frank, issues-based commentary that will give you plenty of food for thought? Here’s your chance to get a different perspective on where we are and where we are headed. God only knows what is in store for America; and, yes, He is still in control! America has a long row to hoe to get back on track. 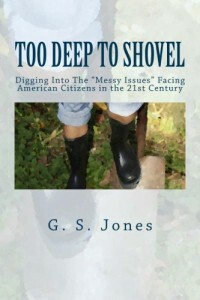 In Too Deep To Shovel, author G. S. Jones delves into the important issues that face our country as we cruise through the early 21st century all too quickly — family values, America’s Christian roots, global warming, the economy, health care, energy, and many others — that leave us scratching our heads in disbelief that the American people will stand by and let the vocal minority get us in too deep too shovel our way out! Read this gotta-have-it book and then get ready to make a difference! Buy one for each of the fence-sitters in your life! Buy 500 copies for your conservative political action group to hand out!